Create new looks with stylish cami dresses from Old Navy. 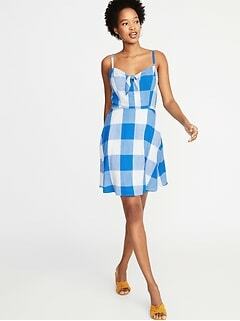 Get a sleek look that works well in a variety of venues with the outstanding selection of cami dresses now in stock at Old Navy. These spaghetti strap dresses are the ideal option for a breezy afternoon affair or balmy evening event, crafted to deliver long-wearing comfort. Choose cami style dresses in solid silhouettes that offer the perfect platform for your favorite accessories. Switch it up and don your unique style in profiles showing off eye-catching patterns and prints that make an unmistakable statement of confidence. With choices in lengths from midi to maxi you can always suit your personal style. 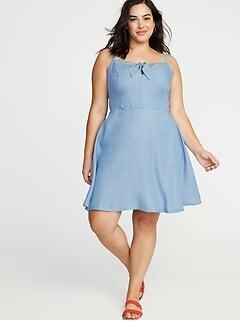 Expand your rotation of everyday essentials with a cute camisole dress from the newest selection at Old Navy. 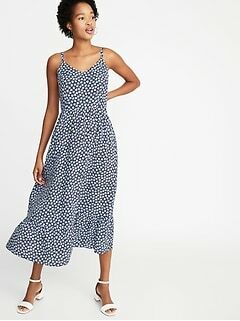 Whether you're in search of the perfect look for a party or just looking to breathe new life into your workplace options, Old Navy is your premier destination for casual slip dress styles. These easy to wear silhouettes integrate seamlessly into your regular wardrobe. Styling them for a day out and about is as simple as choosing a pair of strappy leather sandals or canvas flats with intricately embroidered detailing. These versatile profiles can also be incorporated into work ready looks by adding a shawl or open front sweater to the ensemble for a look that is polished and put together. Swap the sandals for a pair of heels or open toe ankle boots to infuse your aesthetic with presence and authority. 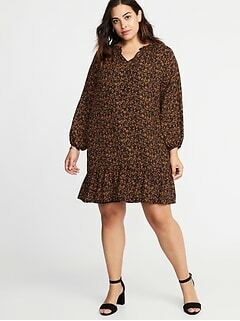 These dresses are designed to deliver a streamlined appearance on a range of body types, with a light and airy feel that brings you consistent comfort all day. You can even accent a vibrant pattern with statement accessories that play up the boldness of high impact designs. 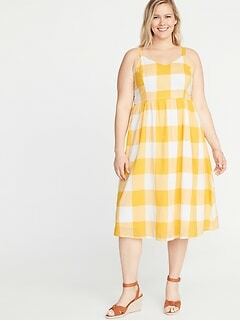 Create a more flexible wardrobe that expands your everyday options with a casual spaghetti strap dress from Old Navy.